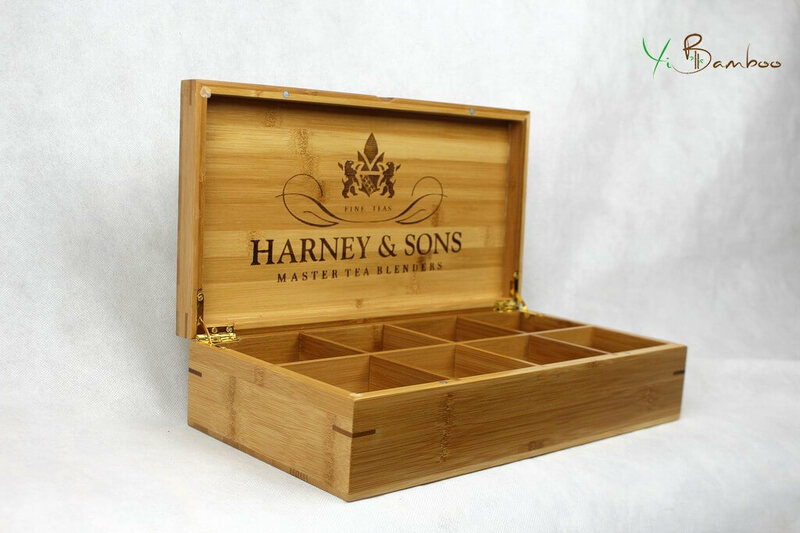 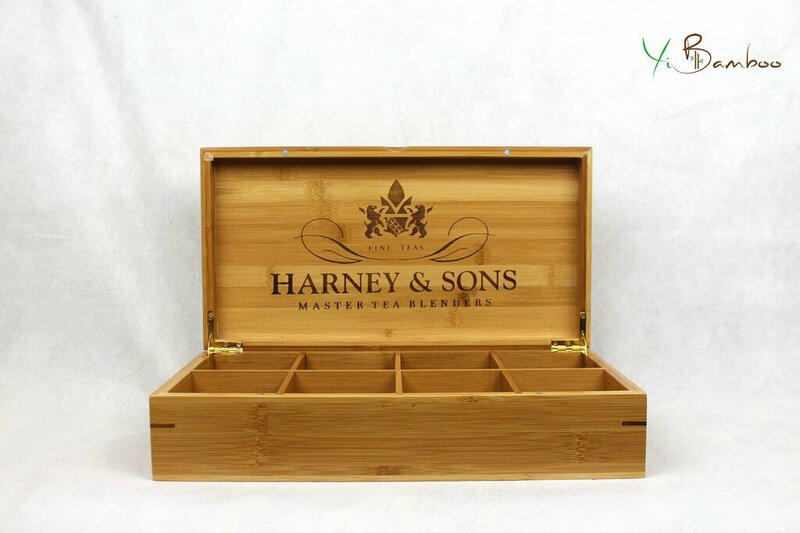 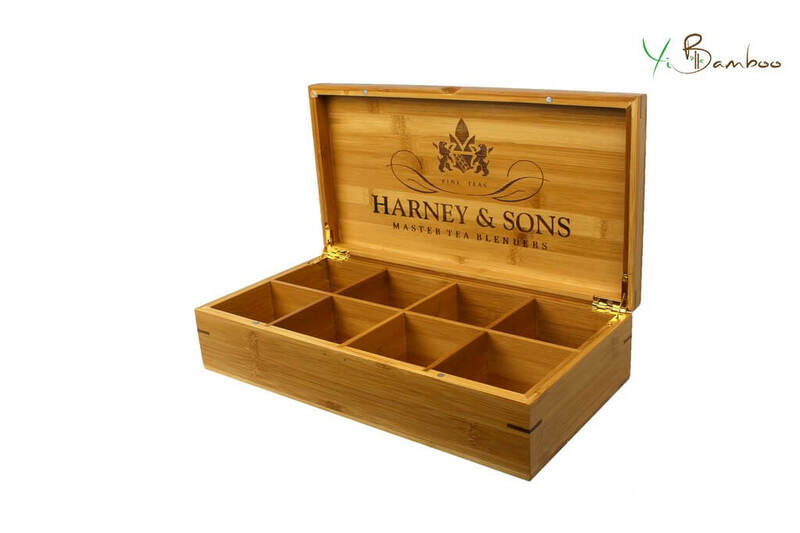 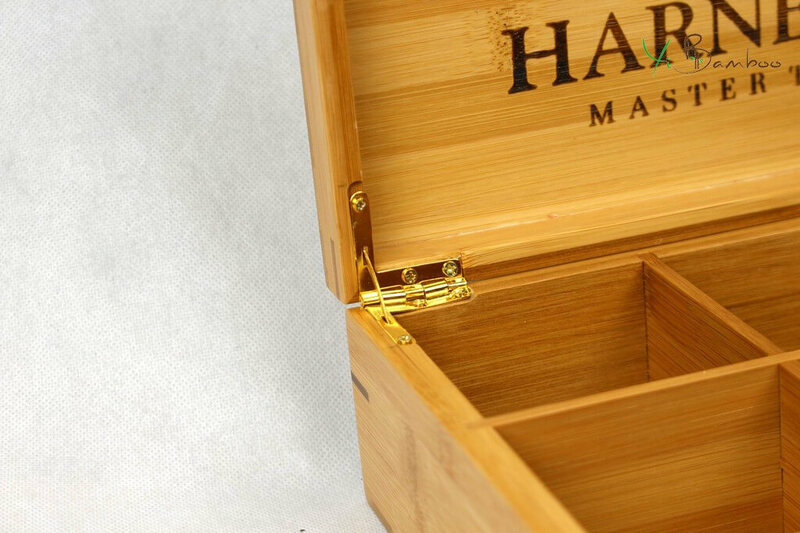 This is a special sample box we made for Harney&Sons. 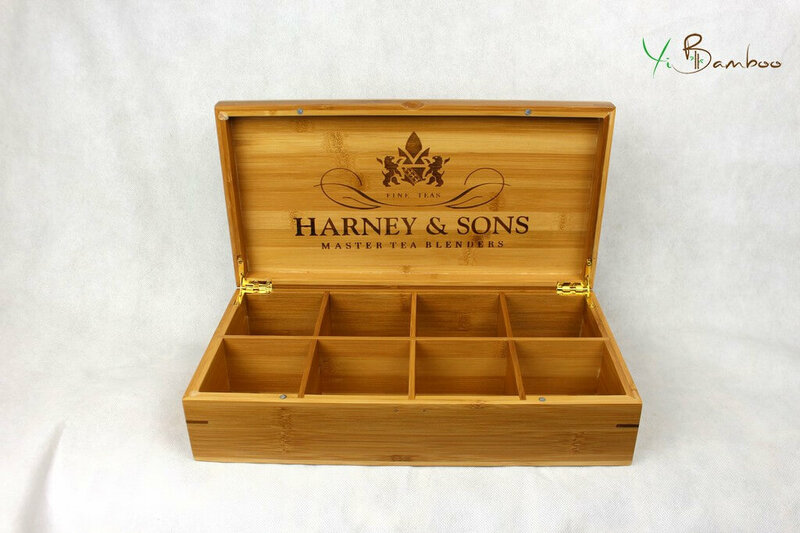 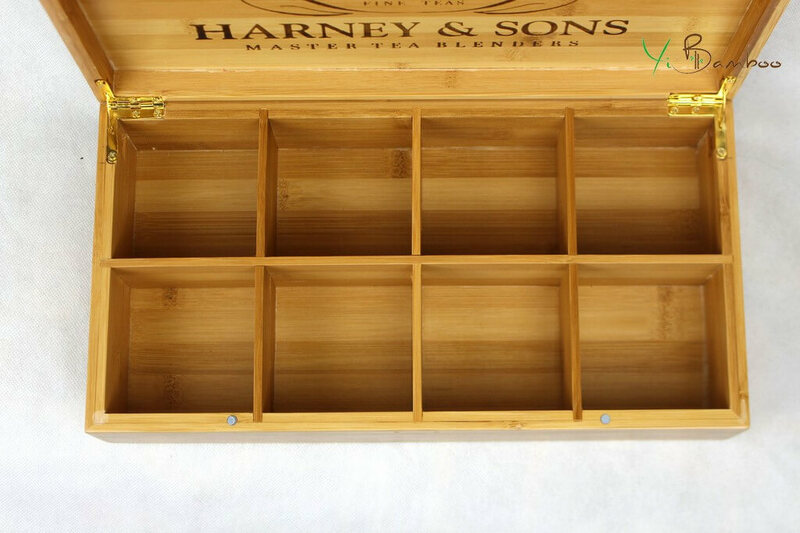 8 Equally Divided Compartments – Brushed Brass Hinged Lid – Solid Hardwood – Store & Preserve Tea Bags or Loose Leaf Tea. 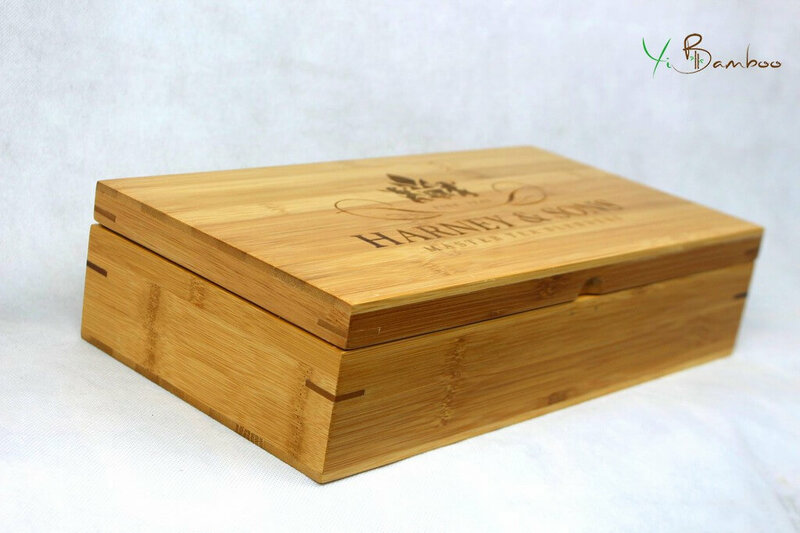 Customized Brand Logo can be laser engraved on the lid. 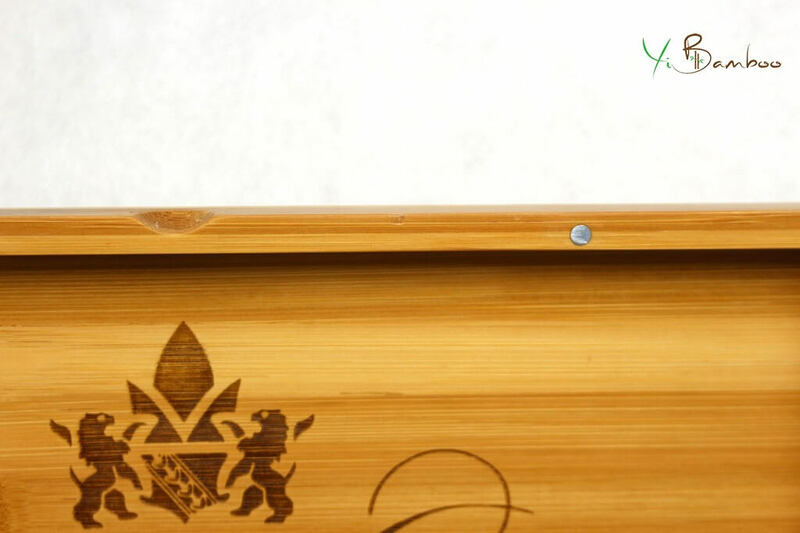 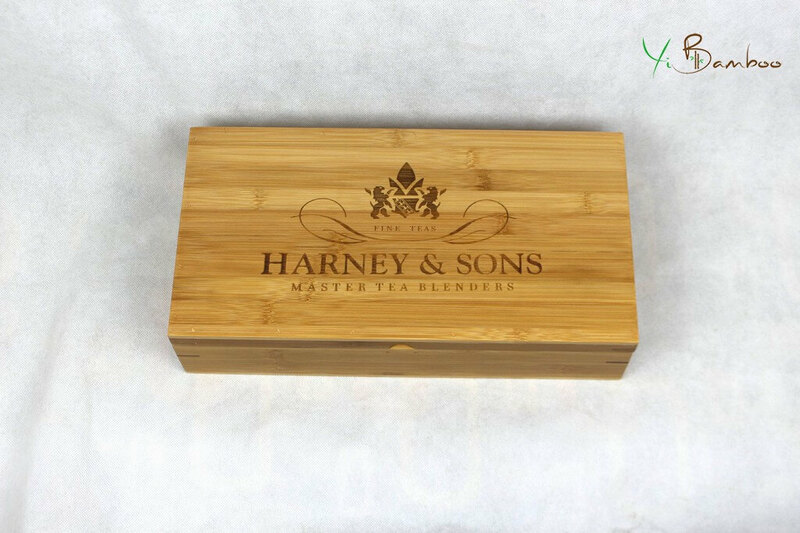 More and more branded tea company purchase the customized tea boxes with bamboo material from Yi Bamboo, we have full acknowledge about the finishing chemical to be used for food industry.